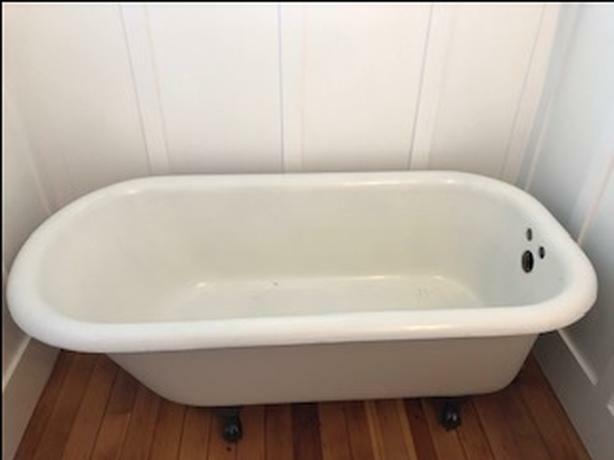 Tub is in good usuable condition. Photos will show a couple of flaws in the enamel. It measures 30Wx60Lx22 high. It comes complete with brass faucet, shower stem/head,chicago bracket for the shower curtain, chip free victorian sink, and faucet and 4ft granite counter top which fits the sink/facets. Selling as package only.